Sometimes, the reassurance you need to get you behind the wheel of a brand-new BMW 3 Series lies in the numbers.  Our team at BMW of Stratham wants to give you all the facts and figures you need to decide if this luxury small car is perfect for your drive through Stratham, Portsmouth, and Exeter. That’s why we’ve put together this guide to the 2018 BMW 3 Series specs. Give it a read and learn about the 3 Series’ features and specifications, concerning performance, interior, and style! The 2018 3 Series comes in three different body styles: the Sedan, the Sports Wagon and the Gran Turismo hatchback. Each style has its own niche. The sedan has a traditional separate trunk, while the hatchback and wagon have cargo spaces accessible from the cabin. The major functional difference between the three styles lies in cargo capacity. The BMW 3 Series Sedan uses a 13-cubic-foot trunk, the perfect size for your groceries, golf bag, or luggage. The Gran Turismo grows that trunk space to 24.6 cubic feet and the Sports Wagon tops it off at 27.5 cubic feet, if you need more room for larger loads. The BMW 3 Series lets you customize your performance with four different engine options. The base one is a 2.0L turbo I-4, which produces 180 horsepower and 200 lb-ft of torque. If that isn’t enough power for you, upgrade to the 3.0L twin turbo I-6 for a speedy boost to 320 horsepower and 332 lb-ft of torque. Like every BMW, the 3 Series combines near-perfect 50/50 weight distribution with advanced suspension and steering for top-notch handling. The available M Sport package adds light-alloy wheels to give the car a sportier look. They’re lighter and stronger, as well, for improved performance. 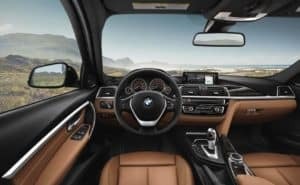 The 2018 BMW 3 Series has earned praise for its comfortable and spacious seating, so you know you’re driving in the lap of luxury. Premium synthetic leather seats come standard, and you can upgrade to real-leather upholstery if you like. You can also opt for available heated and/or power front seats with lumbar support and seat memory for a more comfortable ride. Tall drivers and passengers will find plenty of room to relax in the front seats, with 42 inches of legroom and 40.3 inches of headroom. The rear seats are a bit snug offering 35.1 inches of legroom, but they’ll fit most adults and keep kids comfortable on long rides. 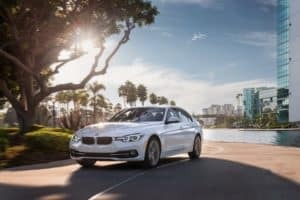 We hope our review of the 2018 BMW 3 Series specs was helpful to you. There’s no better way to find out how the 3 Series will handle the roads of Stratham, Portsmouth, and Exeter than by getting behind the wheel yourself! Schedule a test drive of this year’s 3 Series at BMW of Stratham. If you make your appointment ahead of time, our team of automotive experts will have a luxurious new 3 Series ready to go, waiting to be driven when you get here!